Extreme Kleaner, by Extreme Energy Solutions, gets a chance for a debut launch with Auto Parts International at Pittsfield Location in hopes the popularity of their products will extend to other API locations. Race fans, track attendees, track employees, and racers that compete at Lebanon Valley and Albany Saratoga Speedways do not have far to go from the speedway to get their supply of Extreme Kleaner. Auto Parts International Pittsfield Store Location is to give Extreme Kleaner a try at its store. Total car care repair and service centers in the area can now report back to the Advance Auto Parts subsidiary and order their supply of Extreme Kleaner. Located at 1644 East Street, Auto Parts International Pittsfield location, in partnership with Extreme Energy Solutions, the parent company of Extreme Kleaner, has made samples of Extreme Kleaner available for those who wish to give the product a try. “We tested the product and it seemed to function well, so we decided to give it a run,” commented Gus Landaeta, Store Manager of Auto Parts International, Pittsfield. Stefeno, alongside Auto Parts International Field Reps began the awareness campaign to inform current Auto Parts International clients about the availability of Extreme Kleaner. Stefano and API gave out free samples to clients willing to give the product a test run, with shop owners reporting back the quality in which Extreme Kleaner cuts through the grease and grime. Auto Parts International was founded in 1957, as a provider of foreign car parts. Today Auto Parts International has grown to over 185 store-dealer locations with coverage in 16 states throughout the Northeast. In addition to auto parts, API also offers a complete line of tools, shop supplies, and automotive detail products such as cleaners and degreasers. Auto Parts International is a fan favorite with the local racing community as they have been known in the past to extend product/part discounts to racers and the occasional racing sponsorship. In fact, it was through advocacy of the racing community which demanded Extreme Kleaner in their geographic area that led to the initiation of Auto Parts International having Extreme Kleaner available in the Pittsfield store location. Extreme Kleaner was first introduced to the local racing community in 2015, has since expanded its market footprint, and is now available in over 500+ retailer locations nationwide, including Auto Parts International. 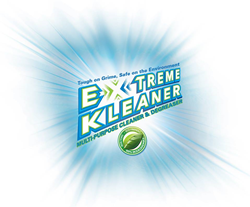 Extreme Kleaner, the Main Street Premium Brand since 2012, is available in two formulas: a multi-purpose cleaner-degreaser, and a glass, tile and more formula. Extreme Kleaner has been vetted by National Sanitation Federation and by the US Bowling Congress. Stefeno also expressed his support to the patrons of Auto Parts International that he would make himself available for on-site product demonstrations if shops wanted to take him up on the offer. A portion of every sale of Extreme Kleaner is dedicated toward assisting local and/or regional causes. Former causes which received the benefit of this initiative include Project Help, a cause aimed at helping to eradicate Veteran Homelessness, STEM Education, the performing arts, and non-profit educational forums for environmental and economic sustainability. The product’s parent company, Extreme Energy Solutions, has also helped sponsor local 5k runs for many good causes. Extreme Kleaner most recently partnered with Project Help, lending volunteers and assistance with their Toy Drive, where families of Veterans in need were able to pick up donated toys for holiday gifts for their children.